In Adition to Mac to Thunderbird, Software migrates The Mac File to Seven file formats. I am running an organization and I have been using Outlook Mac 2011 in my company for one year. It was working fine, but now it had encountered some issue of hardware failure. I want to switch from Mac Outlook to Windows platform, but the issue I am facing is that archived OLM files cannot be access in Windows Outlook. Therefore, I want to import Outlook 2011 to Thunderbird. Is the integrity of the data is maintained after the migration? Can we migrate the data in bulk or in batches? Can we transfer attachments as well? Is it possible to transfer a 2GB OLM file to EML? Does the software need any extra application for the migration? How much estimated time is required for the whole process? Can I transfer all my Mac Outlook files in bulk? Yes, Outlook Mac to Thunderbird Migrator is capable enough to transfer all the files in bulk. Can I merge exported Mac Outlook files? Yes, after Outlook Mac to Thunderbird migration you can merge all the files. Is there any file size limitation to export Mac to Mozilla Thunderbird? No, the tool migrate all OLM files in their original form without any modification. If the location of OLM files is not known will this software still able to migrate mac to thunderbird? Yes, Software comes up with an essential feature that you can search all the files in OLM file format and then, implement the process of migration. "Mac Outlook (OLM) to Thunderbird Migrator is a utility with commendable features. I have shifted all my mails of mac to thunderbird very easily, quickly and accurately. I would like to recommend this tool to everyone for the migration process. Mac Outlook files (OLM) cannot be accessed in any other email application. 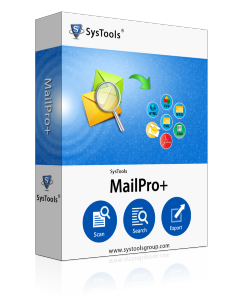 While EML is such a file format, which is supported by variety of email clients such as Thunderbird, Windows Live Mail, etc. Therefore, sometimes the need of Mac Outlook to Thunderbird migration arises.